François Cluzet, Marie-Josée Croze, André Dussollier et al. Relentless edge-of-your-seat suspense, jaw-dropping, high-octane action and a powerful love story combine in what has been hailed by many critics as the best film of the year. Tell No One follows one man's frantic race against time when his tragic past is suddenly and unexpectedly unearthed. Dr. Alex Beck is left unconscious after his wife, and childhood sweetheart, Margot is brutally murdered. 8 years on and still unaware of the truth, Alex receives an anonymous e-mail. Clicking on the link he sees a woman's face in a crowd - Margot's face... But before this can sink in, Alex is thrown headlong into a deadly chase - running from both the Police and a team of killers who will stop at nothing to keep the truth hidden. (14) of (17) members found this review helpful. When it comes to films, the French can sometimes be accused of putting the "f" in "art", but they also have a yen for the hard-boiled crime thriller, and this one, based on a Harlan Corben story, delivers in spades. You get good cops, bad cops, shady underworld allies, "Argh!You've got the wrong man!" moments, a couple of messy murders, jaywalking as an art form and a gruelling chase scene that wears you out just watching.And, as it's set in France, you get plenty of enthusiastic smoking, so if you are one of these Brits who have to brave the elements for your fag break, this film will fill you with nostalgia! It's brilliant-but is it art? Who cares? Vive les policiers! This film is based on the first Harlen Coben book that I ever read. After reading the book, I immediately got my grubby mitts on all the other Coben books and have not loved all of them. I was really looking forward to the film, though I was a little concerned when I realised it had subtitles (I was afraid it would distract from the action). Did I like it? I enjoyed every second of it and whilst some would argue that film adaptations are never as good as the book, I don't think it's actually relevant is it? You read a book, you watch a film. Completely different! My husband hasn't read the book and thought this film was "really good" too. I'd definitely recommend it. 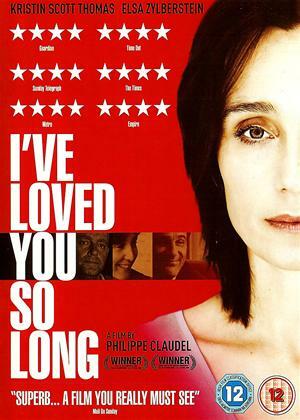 This outstanding French thriller is one of the best I’ve seen in recent years and keeps you fully engaged until the end. It’s a really subtle experience that gets under your skin simply by exploiting the premise to the maximum potential. There’s no need for blood or huge action stunts and this maintains its sense of realism. You can really identify with Alex Beck’s roller coaster of emotions, as his wife is murdered and he is badly injured. Eight years later and he is only just coming to terms with the huge black hole in his life, despite support from a close-knit circle of friends, and then he receives the most unexpected of emails. This starts a chain reaction of events, which leads him and the police to question everything. Tell No One is thoroughly recommended; see this before Hollywood ruins it. Thoroughly enjoyed this film - have read many books by Harlan Coben and all of them are good thrillers. Thought the acting was good too altho the plot could have moved a at faster pace. A run of the mill thriller, but worth renting as the acting is good, but the story is implausible - it twists and turns too much and gets lost up its own .....! I can never understand why people moan about subtitles - can't they read? I find that when dialogue is mumbled, the subtitles are really useful. 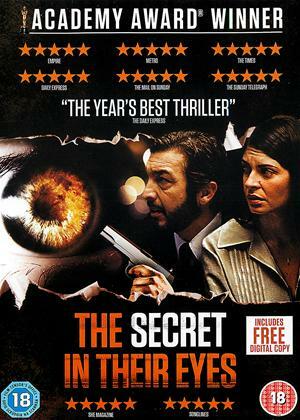 If you liked this, can I recommend "Los Secretos en sus Ojos" (The Secret in their Eyes), a fabulous film that's a thriller, love story, comedy and more, with an fantastic ending. Get the Brazilian DVD with subtitles as the English remake is awful (sorry subtitle-haters). Well made thriller with a strong cast. 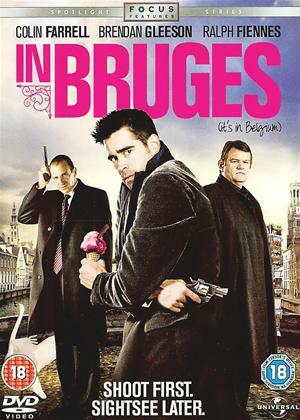 Excellent use of locations (mainly in Paris), with some very taut set pieces, including a made dash across a motorway and a game of cat-and-mouse in a park. But it's let down by a confusing and frankly unbelievable plot. It needs one of the characters to explain it all in the last reel, and I am not sure I followed him! This film had both me and my husband totally hooked, the acting was brilliant and the story line was gripping and believable. Great twists and turns! Some lurking incongruities such as why are there no insects at the lake in summer, how does this man suddenly become so athletically endowed and why doesn't he turn round in the final sequence. The ideas are however original, and the plot sufficiently full of whodunnit suspense to recommend this film. (2) of (34) members found this review helpful. Quite possibly a good film. Howver after a short time I switched off cos I hate sub-titles and hadn't realsied (foolishly) that it was french. Very strange film that has nice touches of human observations but loses its way with so many possible suspects and improbable story turns. Each solution is quashed until the last 10 minutes when a series of story unravelling unfolds. Finally the truth descends and dissolves and you wonder what else you could've done for 2 hours. Disappointing. I thought this was an excellent movie with a very good story and for once a good ending. Good acting and very exciting throughout. I highly recommend watching this. (1) of (8) members found this review helpful. Excellent film. Brilliant acting, great filming, captivating plot BUT in French with English sub titles so be warned!!! 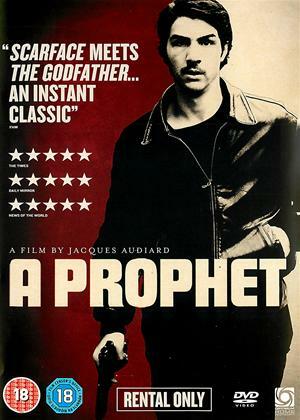 A nice french film, with action and suspense and keeps your eyes to the screen till the last minute. I was surprised to see so many positive reviews about this film, I thought the story was nothing special, just an average thriller with some twists and turns in the plot. The movie was ok, however I found it very confusing, when my friends and I started analysing the plot we found a few weak points which don't stick. Watchable but confusing. And quite disapointing after such good reviews. Yet another damaged disc - it was scratched and covered in fingerprints. I cleaned it but it still wouldn't play, so no idea if it was any good or not.I wrote to Cinema Paradiso,but just got a standard e-mail response. Clever, if far-fetched, plot difficult to keep up with at times but worth it alone for the chase sequence on foot; a refreshing change from cars. Who knew paediatricians could be so athletic? Never a dull moment. Excellent French thriller with some many plot twists to keep one guessing until the end of the film as to what is actually happening plot wise and the twists and turns kept one on the edge of your seat until the end. Very Spiral-ish in its setting and atmosphere. Kept me gripped throughout. What a twisting plot; keep your eyes on the sub-titles otherwise you will wonder if you missed something and hang in there until the end for further twists! Much recommended. A run-of -the-mill thriller with guns, car chases and all the usual ingredients. OK as far as it goes but I was hoping for something little more sophisticated. Plenty of action but little in the way of any character development or imaginative cinematography. The plot elements are thrust under your nose so forcefully you can't possibly miss them. 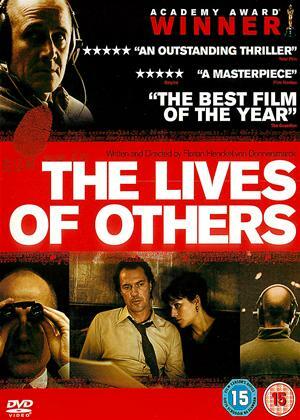 There is not much in this film to make you think. The scene at the end where the stag wanders out of the trees had us laughing out loud it was so corny. 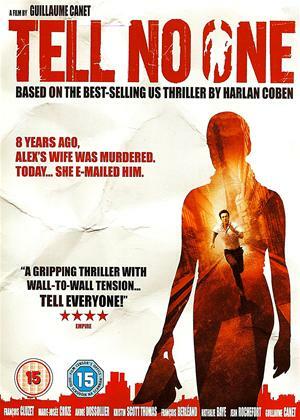 Tell No One is a French language film based on the American novel by Harlan Coben that tells the story of a hospital paediatrician Alex, whose is knocked unconscious and thrown into a coma when he interrupts what appears to be the murder of his wife and childhood sweetheart, Margot. Almost ten years after Margot’s case is closed new evidence surfaces that implicates Alex, meanwhile he has been receiving emails from someone with information only Margot could possibly know; Alex flees the police and must remain undetected whilst he solves this complex and intriguing case. Such a brief synopsis does not do justice to the depth and intricacies of Tell No One, it is a tightly wound story, directed with a strength and assurance that knowingly points you in the wrong direction whilst quietly guiding you toward a resolution. Tell No One is a very intelligent mystery thriller, brilliantly cast with a wealth of (what at first can seem like too many) characters. To ensure the complex storyline, numerous red herrings and multitude of characters does not prevent you from enjoying what is in fact a wonderful, tense and hugely satisfying thriller, you must be prepared to work. This is not a simple movie to follow or untangle and even the briefest moments of distraction are likely to make you loose the plot completely. If you are willing to meet the movie half way however you will surely be rewarded.